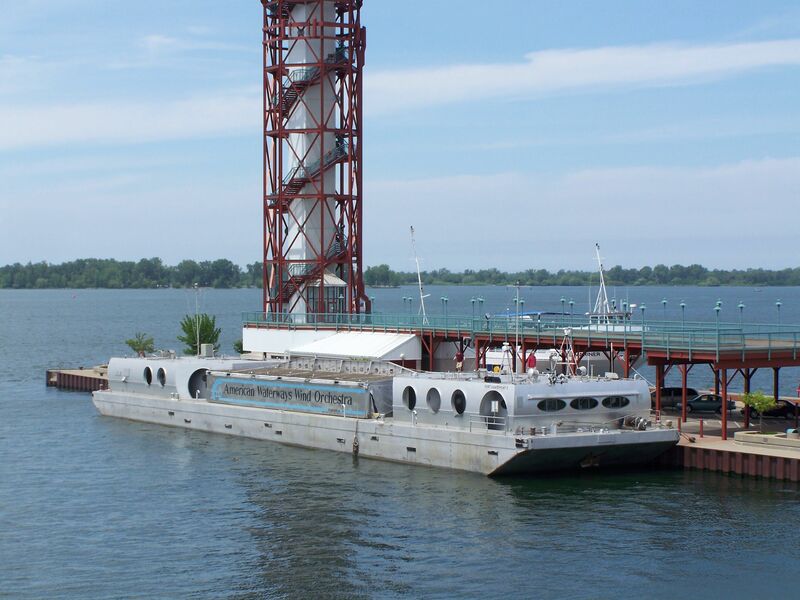 Don’t count out Louis Kahn’s floating concert hall just yet. The 42-year-old Point Counterpoint II has found a new life in Florida, only a year after fears were raised that the boat might have to be scuttled. Although the speed of the 195-foot-long, 38-foot-wide boat tops out at a measly six to eight knots, the seagoing vessel has still managed to perform all over the world. The Point Counterpoint II lies flat, a stark departure from Kahn’s distinctive use of striking geometric forms in his buildings, but also includes a hydraulic-powered steel cover capable of rising 25 feet into the air, topping the barge with a center stage. The American Wind Symphony Orchestra (AWSO), founded in 1957 by Robert Austin Boudreau, has called Kahn’s maritime arts center home since 1976. Kahn and Boudreau were personal friends and discussed replacing the first Point Counterpoint (a repurposed barge incapable of independent movement) throughout the 1960s. The resulting Point Counterpoint II, designed by Kahn, eventually set sail in 1976 for a 76-city tour as excitement for the Bicentennial was reaching a fever pitch—two years after Kahn’s death in 1974. By AWSO’s 2017 tour, 91-year-old Boudreau had been looking to step down as director for some time, and without a successor lined up, he put the boat on the market. Following a bidding war to lure the boat to a new permanent home between the city of Kingston in upstate New York and a private entity in Florida, the concert hall went to the latter and has since been brought to Lake Okeechobee in Palm Beach County. Boudreau blames the high cost of towing the boat up to the Great Lakes to get to Kingston in part for his selection of the Florida bidder, claiming that it would have cost over a $100,000 to comply with the Coast Guard’s regulations. In Boudreau’s view, if the boat isn’t serving the community, it might as well be scrapped. That’s part of the reason that Point Counterpoint II will become a center for music education for local children, including those from Pahokee, one of the poorest communities in Florida. For Boudreau, who grew up on a chicken farm in Massachusetts during the Great Depression, a music scholarship was his ticket to college, and now he hopes to guide hundreds of students out of poverty and into college through music in much the same way. But maintaining the educational programming aboard Point Counterpoint II will require fundraising. This year, Boudreau has pledged $50,000 from his own pocket to kickstart an endowment. He acknowledges that he won’t be around forever, and so the maestro is looking to raise $1 million to make sure that Point Counterpoint II will continue to live on as a public institution. In the United States, people with disabilities in the architecture profession and architectural academia are statistically invisible. Neither the American Institute of Architects, the National Council of Architectural Registration Boards, nor the Association of Collegiate Schools of Architecture collect data on the number of architects or architecture students in the United States who self-identify with physical or cognitive disabilities. The groundbreaking report, “Inclusion in Architecture,” published by the J. Max Bond Center on Design for the Just City at the Bernard and Anne Spitzer School of Architecture at the City College of New York, does not include data on disability. The lack of knowledge about disabled architecture students and architects in the United States stands in contrast to other strides made in diversification, equity, and inclusion. The profession’s self-examination—statistically and culturally—has forced a significant transformation in who can become an architect in the United States. Looking at attendance in colleges, faculty appointments, and representation at professional events, architecture appears to be a more diverse profession in terms of race and gender than it was 50 years ago. From celebrated architects to the deans of the most elite architecture schools, we can see efforts at diversification making a mark. Diversification is critical in architecture because ideas about race, gender, ability, and disability are formed and reproduced in the design and construction of buildings and urban spaces. The absence of disabled architecture students, architects, and particularly academic and institutional leaders within the United States relegates people with disabilities to being a a topic of discussion versus agents of change. In fact, a strand of disability theory argues that disability is a relative category, constructed in spaces that produce disabled bodies and minds. But whether perceived as innate or relative, a medical sensibility underpins many discussions of disability in architecture, because if people with disabilities are considered at all, it is as the subjects within spaces as opposed to the creators of them. This is due to several structural issues that prohibit people with disabilities from envisioning a future in which they participate in architecture in all its myriad manifestations. One key area that limits accessibility to architecture as a profession is the actual buildings where architecture education takes place. While numerous architecture schools are entirely accessible to people with disabilities, the majority of the elite Ivy League schools of architecture—Yale University, Harvard University, Princeton University, Cornell University, the University of Pennsylvania, and Columbia University—have historically had physically inaccessible spaces for people with lower-limb disabilities. In the 1990s, years after the passage of the Americans with Disabilities Act (ADA), Yale, Princeton, Cornell, and Columbia still contained facilities inaccessible or difficult to access for people in wheelchairs. Almost all of these schools of architecture have been renovated, but key spaces—lecture halls (particularly the podium of the lecture hall where people speak), pin-up spaces, offices—remain either inaccessible or difficult to access. Again, many schools have these problems, but these elite institutions have a disproportionate influence on the profession. We have lost out on multiple generations of architect leaders with disabilities who might have offered key perspectives on architecture, not only because of the barriers literally constructed in the architecture of elite institutions, but also due to the ways we imagine the production of architectural knowledge. For example, architectural education requires a thorough knowledge of historic precedents, but how do we imagine the spaces in which this knowledge is acquired? Consider the imagined physical commitment required to understand the discipline’s history, embedded in sites such as the Acropolis of Athens, the Roman Forum, or Teotihuacan, among numerous other examples. For the able-bodied, these sites are challenging places to visit—an observation confirmed by the writings of architects including Le Corbusier, Louis Kahn, and Alvar Aalto. 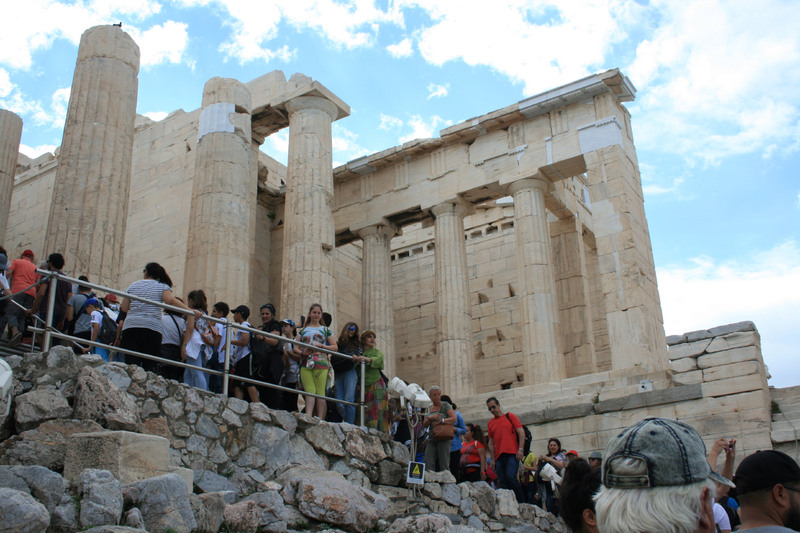 But both the Acropolis and the Roman Forum were far more easily navigated thousands of years ago (by contemporary standards) than they are today as “modernized” sites of architectural preservation. The early 19th-century Romantic notion of experiencing ruins under physical exertion has been permanently built into the experience of many important architectural monuments. This is a key aspect of historiographical aesthetics virtually unexplored in the literature or teaching of architectural historical practice. In other words, a romanticism of the body’s relationship to historical spaces hangs over the experience of architectural history, one that is furthered in the descriptions of these remote sites in classrooms and our expectations regarding the experience of the past. If the design of spaces of education and historical knowledge shape ideas about the abilities of architects, then the physical spaces encountered within architecture internships also require critical analysis. The ADA has enabled people with physical and cognitive disabilities in the United States far greater access to all types of buildings and public spaces. However, the ADA does not govern all construction sites. Even if architecture schools in the U.S. make a concerted effort to improve accessibility, there are several impediments to students with various disabilities becoming architects. It is virtually impossible to undertake an architectural internship without being able to navigate the relationship between the making of architectural representations in offices and the material assembly of architecture on a construction site. To imagine the increased accessibility of construction sites is utopian but necessary, primarily because doing so would re-envision the types of people who create architecture tout court. Labor unions might pursue this to further workplace safety. The latter is a staggering problem in an industry that is extraordinarily and needlessly dangerous: Over a 45-year career, someone working construction will have a 75 percent chance of acquiring a disability from a workplace injury. Construction work accounts for only 3 percent of employment in the United States and almost a quarter of all workplace injuries. Thus, we arrive at the most disturbing point about disability and architecture—the construction of buildings produces disability more than any other sector of the economy. To imagine the accessibility of a building extending from the people who dig its foundations to those who use its interiors enables us to reimagine what a building is at an ontological level. It radically transforms the disabled from being the subjects of spaces to the agents of architecture’s conceptualization and construction at the most granular level. Architects and architecture students are working at a time when discourses on diversity, equity, and inclusion have made measurable transformations within architectural academia and the greater profession. 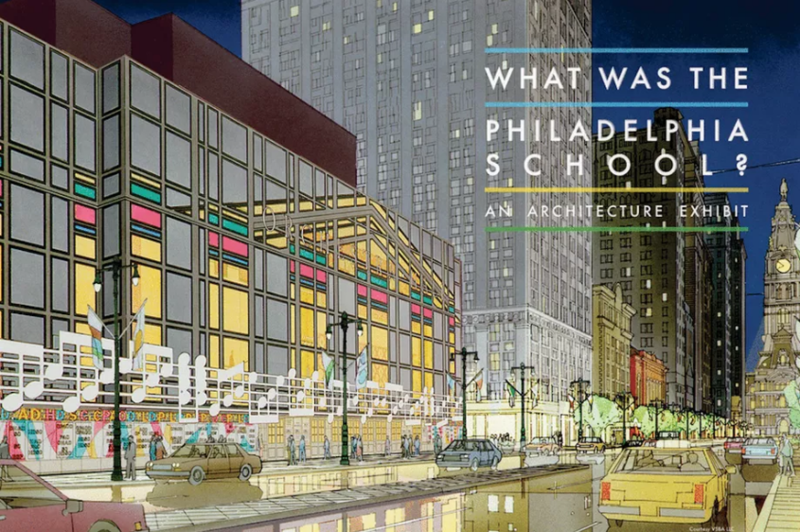 This has led to new generations of African-American, Latinx, and Asian-American teachers and students, the expansion of global architecture history curricula, and student organizations focused on race and gender, among many other outcomes. It is time that we let people with disabilities partake in this important transformation occurring in American architectural education and the profession. Of course, these forms of identification are not isolated, and opportunities exist for understanding intersecting and mutually reinforcing relationships among various forms of subjectivity and disability. In recent years, academic architecture panels, journals, and symposia have brought disability perspectives to architecture. These are important contributions. However, in many of these venues, no architects with permanent and severe disabilities were present to represent this particular form of identity. As this article demonstrates, the structural limitations to a career as an architect with disabilities run deep, and the limitations to academic leadership in this area run deeper. To imagine disability having a place in architecture will involve much more than making buildings accessible or identifying people with disabilities and making entreaties to them to enter the profession. It will involve expensive transformations to the physical spaces of colleges and universities; a lessening of the athletic aesthetics of architecture history, theory, and design; and legal structures that will open a field like construction to more people. If we pursue these transformations in the accessibility of space, discourse, and construction, we will likely see a parallel shift in the types of people who imagine becoming an architect and leading this profession. In turn, the discussion of accessibility and its realization in the design and construction of buildings will enter a new, more sophisticated, and ethical stage of development. David Gissen is Professor of Architecture at the California College of the Arts. He became an above-the-knee amputee while an architecture student in the early 1990s – a surgery related to an earlier childhood illness. 2018 Pritzker Prize laureate Balkrishna Doshi delivered a wide-ranging lecture at the John H. Daniels Faculty of Architecture, Landscape, and Design at the University of Toronto in Canada last night during a reception honoring his career and achievements. The sprawling discussion covered topics ranging in nature from the finer points of self-directed communal housing in India’s small towns to the ways in which institutional buildings can be imbued with a sense of wonder and surprise. Doshi, the first Indian to win the Pritzker and one of only a handful of architects ever selected from non-European or American countries, seemingly relished in the opportunity to discuss the relative difference and richness in perspective his “uncharted” architecture possesses, saying at one point, “If you come to India, we can show you how [poetic architecture] can be done.” The talk, autobiographical in nature and encyclopedic in its treatment of the vital but seldom-discussed facets of thoughtful architecture, was organized generally as a series of life lessons presented to the students and staff in attendance for their benefit. Below are a few of the many key points Doshi espoused in describing his life-long pursuit of open-ended, dynamic, and multivalent architectures. Focus on stability, not mobility—Several of the projects Doshi covered in his lecture focused not just on the inherent usefulness of his designs, but on their potential for reuse and reinterpretation, either through the lens of an evolving family, for example, or through the ways in which nature and the changing of the seasons can lend spaces a sense of dynamism. For Doshi, the propensity buildings have for long-term use and re-use comes from designing for stability. In response to an audience question, Doshi himself asked, “when we design, do we [anticipate] if we were the users, the ways in which we would modify” something like a house or an apartment? Design things that can be used for many, many purposes—In discussing a design for a water tower for a new company town, Doshi explained that instead of striving merely for the most efficient or easy-to-build form, his office explored a way of creating a water tower that could also be used for festivals and celebrations throughout the year. With the project, Doshi tried to answer the question: “How does one create [spaces for] several activities that are natural [to engage in] when there are no opportunities to do them?” His answer? To design a brick and concrete water tower with a wide skirt at the bottom that creates covered outdoor space and provides a winding staircase that ascends to the top of the tower so “young couples can have ice cream cones” on their way to the top to enjoy the view. Doshi also discussed self-directed housing types in Aranya, India that allow occupants to incrementally add to their units over time in order to create dynamic dwellings that can grow along with their inhabitants or add the potential for economic development and social integration. A recording of the talk in its entirety can be found on Youtube here. Last Friday, an exhibition on the late U.S. architect Louis Isadore Kahn opened in Philadelphia, the city where he practiced during the majority of his life. Louis Kahn: The Power of Architecture details the architect's career as well as his journey to the U.S. from the former U.S.S.R. and his early forays into the design world. Kahn was born in 1901 in Pärnu, now in Estonia (formerly under the Governorate of Livonia in the Russian Empire) and left for the U.S. with his family in 1906. His family endured a tough start to life in America. Such was the state of the Schmuilowsky's finances (the surname was later changed to Kahn by his father in 1915) that Kahn could only use charcoal sticks made from burnt sticks to draw; these drawings contributed to a meager income. Kahn continued to use charcoal later in life and these drawings can be found in Louis Kahn: The Power of Architecture, along with further artwork created using watercolors and pastels. The exhibition's introduction provides in-depth biographical insight into Kahn's early life, followed by six thematic sections. One section, titled "City," looks at Kahn's time in Philadelphia, a place where he developed as an architect and where he taught architecture at the University of Pennsylvania. "Science," meanwhile, shows examples of how Kahn used structural systems found in nature as a precedent for his work. "Landscape" touches on a similar note, demonstrating the importance Kahn placed on the site and context of his architecture. Likewise, "House" examines how the architect bridged nature and the built environment with the design of dwellings. "Community," on the other hand, details how Kahn used and believed in architecture as a social device, especially for public buildings. Finally, "Eternal Present," exhibits Kahn's study of architectural history, showing this mostly through drawings from his travels to Greece, Italy, and Egypt. Famous quotes from Kahn are interspersed throughout the exhibition's multiple levels. Models also abound, one notable highlight being a twelve-foot-high model of the City Tower Project. Planned for Philly and designed in 1952, the tower was never realized. The exhibit also features interviews with the likes of Renzo Piano, Sou Fujimoto, Peter Zumthor, and Frank Gehry. Louis Kahn: The Power of Architecture will be on show at The Fabric Workshop and Museum for three months, closing on November 5, 2017. After previously being exhibited in Weil am Rhein, Germany and Fort Worth, Texas, this will be the only time it comes to the East Coast. More details on events such as lectures and family-orientated programs surrounding the exhibition can be found here. 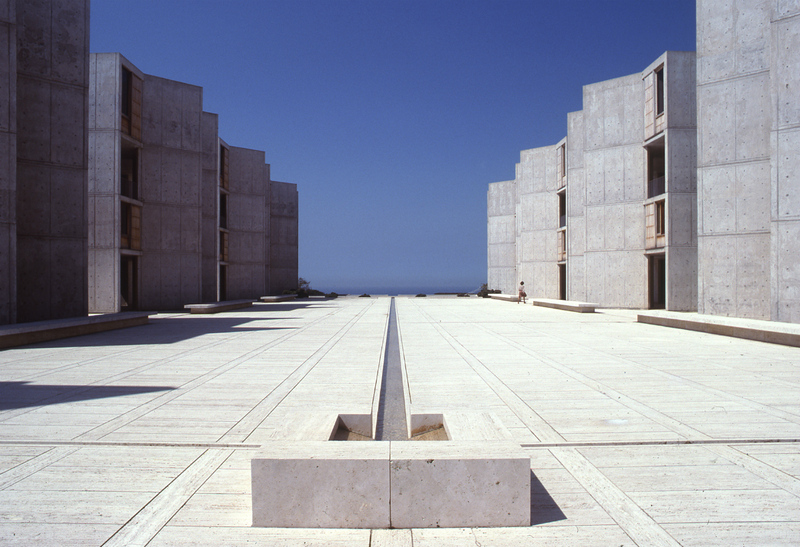 The Getty Conservation Institute (GCI) and New York–based architecture firm Wiss, Janney, Elstner Associates, Inc. (WJE) have completed restoration work on the iconic Southeast Asian Teak window wall assembly units at Louis Kahn’s Salk Institute. The restoration work began in 2013 and was funded by the GCI’s Conserving Modern Architecture Initiative. According to a press release, the restoration team focused on rehabilitating the 54-year old custom-built wall panels, the elements of the complex that had most visibly fallen into disrepair over the decades. The panel systems had suffered from the inconsistent application of artificial sealers and finishes over the years, in addition to varying degrees of insect infestation and moisture infiltration, including a lack of flashing and weather stripping in certain areas. The project team also sought to relieve some of the 203 paneling modules of a fungal biofilm that had formed over boards along certain exposures. Despite these maladies, the restoration team was able to save over two-thirds of the original wood. Kyle Normandin, WJE project manager and associate principal, said “the success of the project is that we were able to save so much of the original material,” a feat that required a multi-pronged approach that included performing historical research, constructing scale mock-ups, and developing a comprehensive set of construction documents in order to detail the restoration work. The scope of intervention on the existing components spanned from mere cleaning and minor repairs to complete removal and replacement using like-for-like materials. 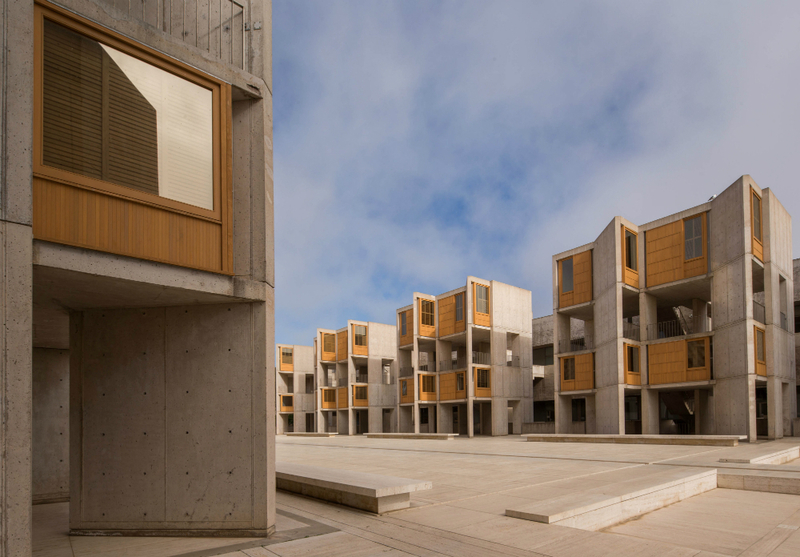 Certain portions of the window assemblies were also redesigned to better reflect the vast improvements in insulation and energy conservation practices that have taken place since the Salk Institute was originally built. Tim Ball, senior director of facility services at the Salk Institute, highlighted the impact the improvements will have on the facility, saying “the teak will last a minimum of 50 to 70 years more thanks to the conservation plan.” In a statement, Tim Whalen, director of the Getty Conservation Institute, praised the outcome of the project as “an excellent example of what can be achieved when architects, scientists, and conservators are given the resources and time needed to develop practical solutions.” Whalen added that the project demonstrates “how best-practice conservation methodologies can be applied to future projects at the Salk and other works of modern architecture,” a precedent that will surely come in handy as the Salk Institute attempts to restore the concrete portions of the complex, which have also begun to show signs of aging. The Institute recently launched a new architectural preservation-focused endowment fund that will focus on restoring these building components moving forward. 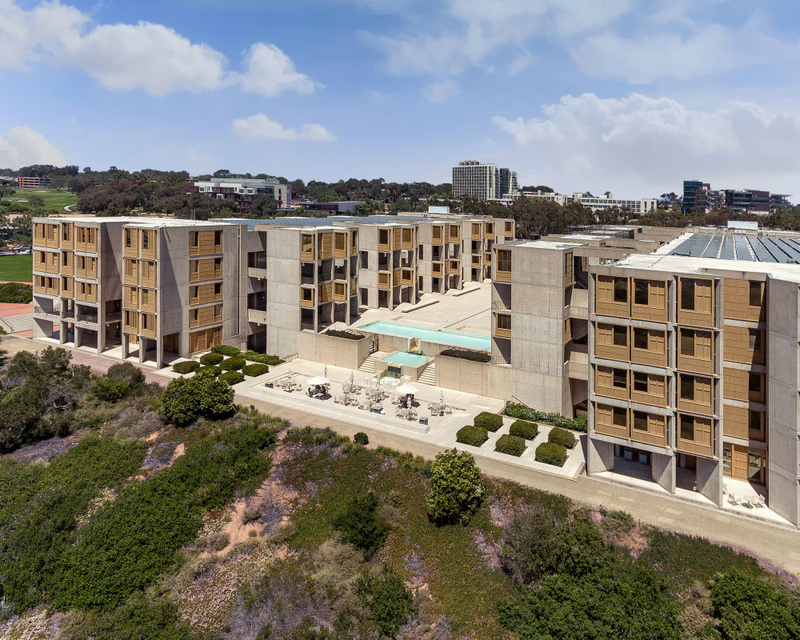 To aid in the effort, WJE and consultants Peter Inskip + Peter Jenkins Architects have developed a comprehensive conservation management plan to guide the long-term care and restoration of the Salk Institute complex. The plan was funded by the Getty Foundation’s Keeping it Modern Initiative. The two most daring architects of the middle of the 20th century, Eero Saarinen and Louis Kahn, both went to the Abba Tor when they needed help designing groundbreaking buildings. Saarinen enlisted Tor’s help on the TWA Terminal at JFK Airport, the Deere & Company headquarters, and the Repertory Theater at Lincoln Center. Kahn worked with him on the Yale British Art Center and the Roosevelt Island Four Freedoms Park. 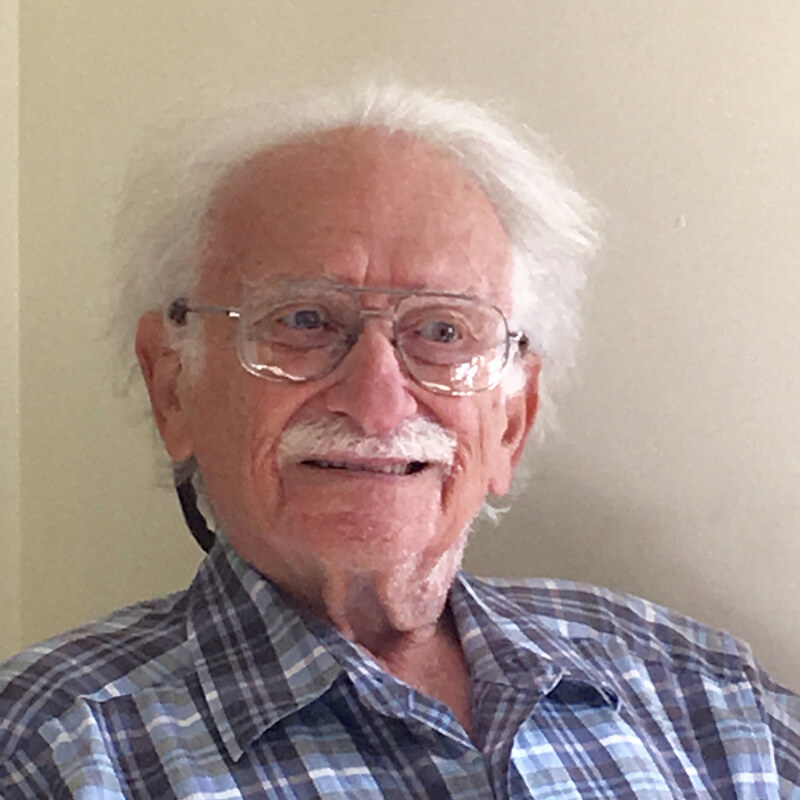 Abba Tor died peacefully of heart and kidney failure, on February 11 at age 93, in Hastings-on-Hudson, where he had lived for the last 50 years. He was born in Warsaw on November 1, 1923, but grew up in Palestine (before Israel became a state). He joined the Israeli underground when he was an engineering student at the Technion, where he met his wife Nomi, who was studying architecture. He was also involved in the establishment of the Israeli Defense Forces, the unusual co-ed military that aligned the army, navy and air force. The IDF sent him to the United States in 1952 to work with the U.S. Bureau of Standards. While here, he earned a Master’s degree at the Columbia University School of Engineering. His daughter, Shuli, was born in America, too, but the family returned to Israel the next year. Two years later, however, Tor left the military to start his own engineering practice and ended up back in New York where he soon became associated with the firm of Ammann & Whitney. He also taught at the Columbia University School of Architecture and did peer reviews nationally for the Connecticut Society of Engineering, though he went back to Israel in the mid-60s and, using a Danish system, built Carmiel, the first prefabricated housing community in the country. Abba Tor loved to tell stories about the ways his clients operated. He liked working with architects who pushed boundaries but noted that they did so very differently. Saarinen was a form giver—searching for the appropriate image and experiential feeling for every building. He just wanted the engineer to help him make it stand up. Tor would have to cajole him into logical (or at least practical) solutions. At the TWA Terminal, that meant convincing Saarinen that the entire roof, all 1.4 acres of it, could not be made of one continuous embracing shape. It had to be built in pieces with joints and separations. A single pour would lead to shrinkage—and later to cracks. But there was a benefit to the solution. The joints between the shells created the dramatic three-foot-wide skylights. But it was not easy. The engineer had to follow the architect’s dictates and talk him into sustainable forms. In 1962, after Saarinen had died, Tor left Ammann & Whitney to form a partnership with Henry Pfisterer, an engineer who had worked with the Saarinen firm on Yale’s Morse and Stiles Colleges and on the North Christian Church in Columbus, Indiana. Working with Louis Kahn presented different challenges. 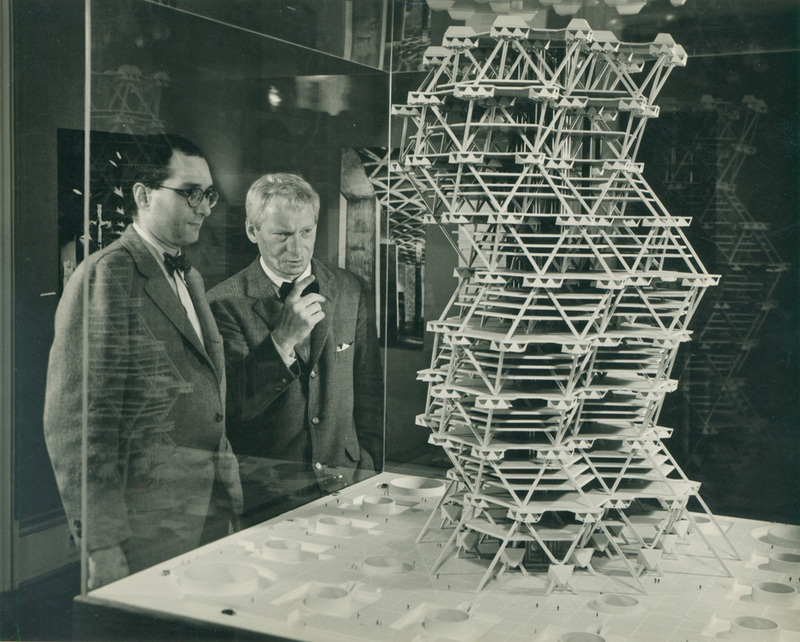 It was, in a way, more a true partnership since Kahn wanted to understand structural forces at the beginning and develop designs to accommodate them, though his buildings, too, were unique and unprecedented. 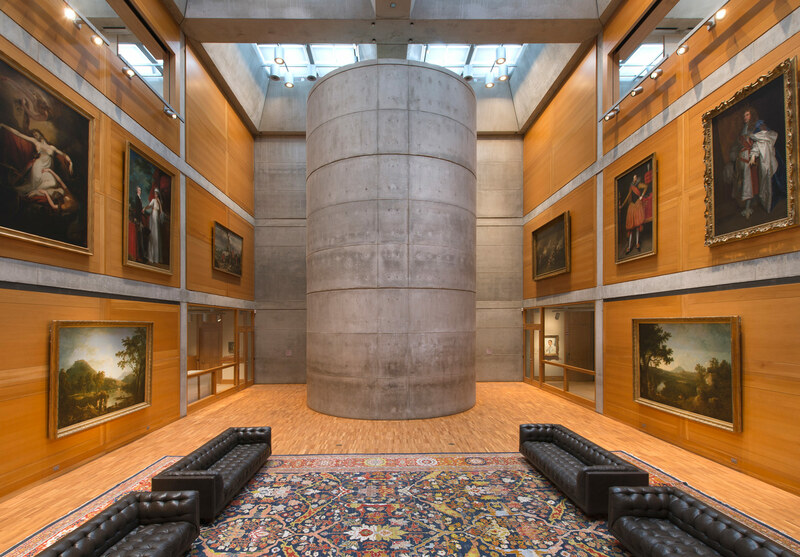 “Abba Tor was an invaluable partner to Louis Kahn in the design of the Yale Center for British Art helping to structure the most sublime moments of the architecture. Abba rationalized the building and contributed significantly to the resolution of the Center's interdependent ‘served’ and ‘servant’ spaces,” as George Knight, the New Haven architect who recently renovated the Center, explained. But even working with Kahn had its challenges. Tor recalled that once, when told that he could not do what he wanted, Kahn had said, "'You engineers are all the same; you are like sausage cutters!' I said to him, 'Lou, we are not sausage cutters, we are more like the male dancers in a classical ballet. Sometimes we jump and soar, and other times we stand there firmly on the stage and when we see the ballerina take the big leap, we catch her in mid-air, we turn her around, and we make sure the she lands gracefully and doesn't fall on her face.'" (This recollection, from the archives of the National Building Museum, was posted recently in a podcast by architectural photographer Timothy Schenk.) Even in recent years, as his health failed, Tor traveled when he could and stayed abreast of current events around the world, following newspapers from several continents. He had opinions on everything. He made several appearances in the recent film shown in the Public Broadcasting System's American Masters series, "Eero Saarinen: The Architect Who Saw the Future" in December. Abba Tor was predeceased by his wife Nomi and his son Daniel. His daughter, Shuli Tor, survives him. 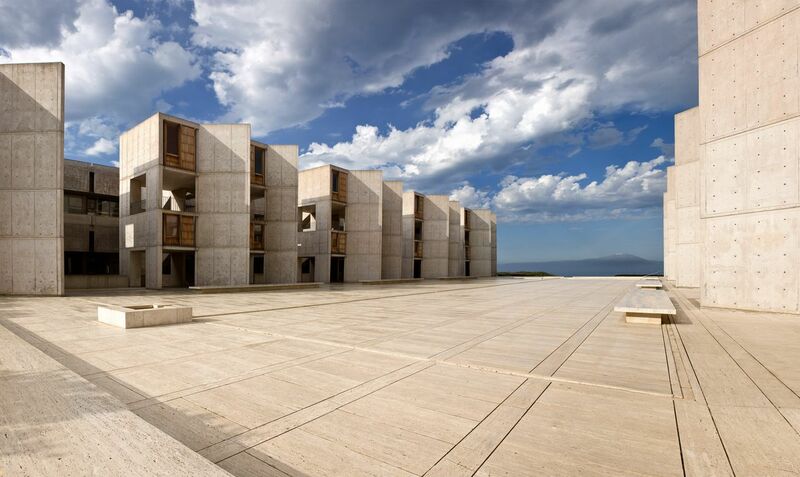 The San Diego Museum of Art will showcase the works of Louis Kahn this fall as it holds a series of exhibitions and events revolving around the renowned architect’s iconic works, including the famed Salk Institute in nearby La Jolla, California. Louis Kahn: The Power of Architecture, opening November 5th, looks to bring 200 objects related to Kahn’s life and building projects into focus, including the first public showing of the Philadelphia architect’s watercolor, pastel, and charcoal sketches created over the course his extensive travels. The exhibition aims to be all-encompassing, discussing the architect’s biography alongside his most famous works. 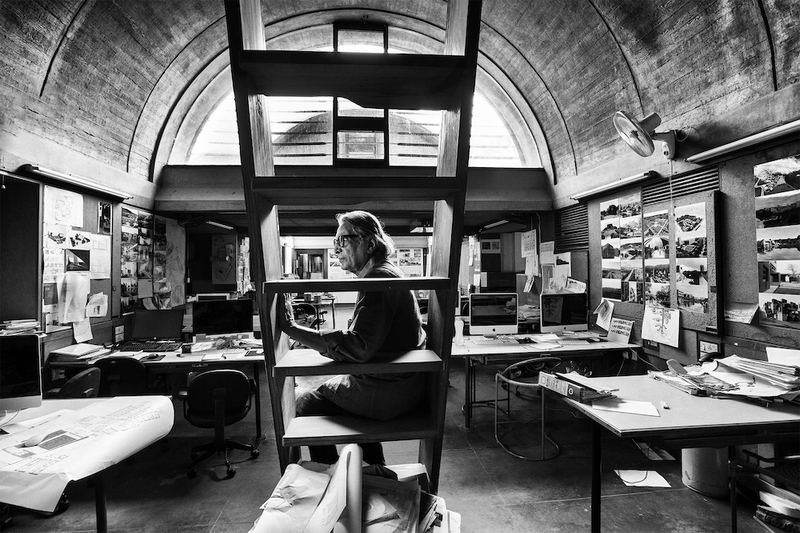 It will also point an eye toward the rigor of his architectural practice, with the artistic prowess embodied by the sketches being supplemented by personal documents, drawings, study models, and archival images of his iconic architectural works. Kahn's oeuvre ranges from American-bound projects like Salk in California and the Library at Phillips Exeter Academy in New Hampshire to his work in Dhaka, Bangladesh, where Kahn designed the then newly-independent nation's National Assembly building in 1982. In a press release for the exhibition, Roxana Velásquez, the Maruja Baldwin executive director of The San Diego Museum of Art, praised the architect’s local work, referring to the Salk Institute as “a San Diego landmark regarded as one of the most inspirational works of architecture in the world.” Another exhibition, Shape, Shadow, and Space: Photographs of the Salk Institute, will showcase architectural photography by design students of the Woodbury University School of Architecture and run alongside The Power of Architecture. The museum also aims to hold a symposium featuring scholars of the architect’s life and works on the opening day of the exhibition; the museum will also screen the film My Architect, A Son’s Journey, in conjunction with the panel. The film is to be presented by its director, Nathaniel Kahn, son of Louis Kahn. The exhibition will run through January 31, 2017, capping off a banner season for San Diego–area architecture enthusiasts that will also see a constellation of local museums showcasing the work local architectural hero Irving J. Gill concurrently.